The environmental policy is an integral part of our corporate policy, hence addressing the whole staff at WINI Büromöbel. In so doing, the environmental management system is pursuing the aim of controlling and optimising all activities which affect aspects of business and social environmental policy. The environmental management system practised by WINI is based on the requirements of DIN EN ISO 14001 and the European eco-audit regulation EMAS III. Accordingly, all actions within the company are to be oriented towards these currently operative laws and regulations. 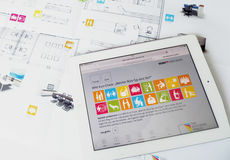 Yearly checks of different code numbers, and quantities consumed in relation to the whole workforce are functions which lie within the responsibility of the heads of production and administration, and serve as a means to save raw materials, optimise energy consumption, or reduce the amounts of waste. Basically, all employees are obliged to implement the legal requirements and the environmental management system's guidelines, too, as well as adhering to the latter. 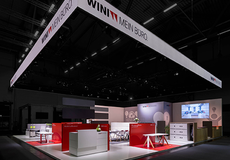 Also in the future WINI assumes the responsibility to develop sustainable and resource-saving concepts for products and processes. 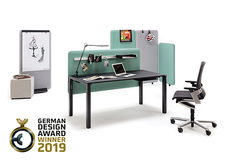 “Future-oriented thinking and acting through the use of ecological concepts” – this way of thinking is just as valid for the production of office furniture as it is for its design. 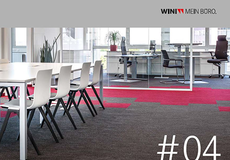 At WINI Büromöbel, know-how and conception have their origin in successful commitment to the environment. Office furnishing of the future must adapt itself to changing work processes – at any given time, with ease. 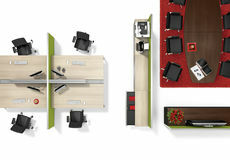 Durable, eco-friendly office furniture will be in demand – as well as a high degree of modularity. With WINI’s office systems, a sophisticated modular concept, and consciously doing without many parts is what prevents the over-use of natural resources. Moreover, WINI contributes actively to environmental protection by prolonging product cycles, based on maximum product and manufacturing quality (according to DIN ISO 9001), and flexible possibilities of use. 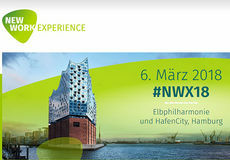 During the construction phase already, WINI takes on the responsibility for ecologically sensible product concepts. The work is based on the insights of many years of active environmental protection, and fulfils all ecological regulations. It is here that the synthesis of material, design and modularity gives shape to the formula for an ecological sense of responsibility: all the WINI products consist of only a few materials, which are easily separated and recycled. These include chipboard, aluminium, steel and polyamide. Further, WINI decided against the use of PVC and superfluous work materials. Combined materials are integrated only very sparingly, and where it is imperative for the sake of product safety. All the steel and die cast aluminium parts are coated as a whole with solvent-free, environmentally friendly powder lacquer, and the aluminium string profiles are anodised. According to the legal requirements of the Hazardous Materials Safety Regulations (Section 9, paragraphs 3, 4), chipboard with emission class 1 only is used. Coatings are naturally emission-free, too. Real wood surfaces are sealed with environmentally friendly, water-soluble lacquers. For the protection of the furniture during transport, reusable packaging materials only are used. As one of the few companies in the sector, WINI received important recognition of their commitment to the environment in 2002 with the “The Blue Angel – low-emission” award - on all products made of wood and wooden materials. Through internal information and audits, or further education and training in areas relevant to the environment, all of our staff participate in measures to further the awareness of, and responsibility for, the protection of the environment. Future-oriented operating at WINI is determined by adherence to environmental laws and regulations laid down by authorities. All WINI employees commit themselves to dealing with materials in a non-wasteful and responsible fashion. Through appropriate measures and by using environmental-friendly technologies, pollutants such as emissions and waste are avoided or reduced to a minimum. New WINI employees, customers and the general public, too, are informed, and also advised, when necessary, about our environmental management, and our corporate eco-sensitive behaviour - through the provision of the corresponding information. 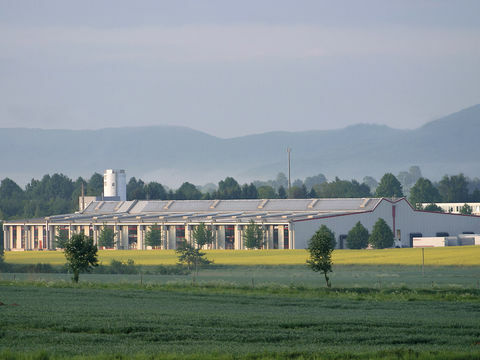 The company-related eco-data, for example the consumption of water, electricity and fossil energy sources are compiled regularly and evaluated – the aim being to save raw materials. When using new materials, products and production processes, these are tested and judged in advance with regard to their effect on the environment while being processed, manufactured and / or disposed of. Possible effects are subsequently reduced in their extent as far as possible, technically and economically. During regular company audits, an Environment + Work Safety workgroup checks the topicality of the environmental policy, and also the adherence to the norms of the environmental management system. Here, too, current suggestions for improvement and comments are discussed, and where necessary, passed on to the respective offices. All reults of the audits are documented and evaluated. 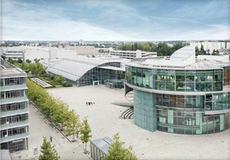 Moreover, since 2009, WINI has been a member of the Alliance for Sustainability of the State of Lower Saxony ("Allianz für Nachhaltigkeit des Landes Niedersachsen"), whose aims are the intensification of innovation capability and environmentally compatible economic growth, in the sense of sustainability. 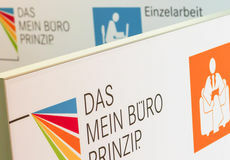 All the alliance partners stick to their joint responsibility, promoting Lower Saxony’s economy - its preservation and the development of its achievement potential – through systematic measures. They also promote the protection of nature and the environment and the improvement of living and work conditions, as well as preserving social solidarity.